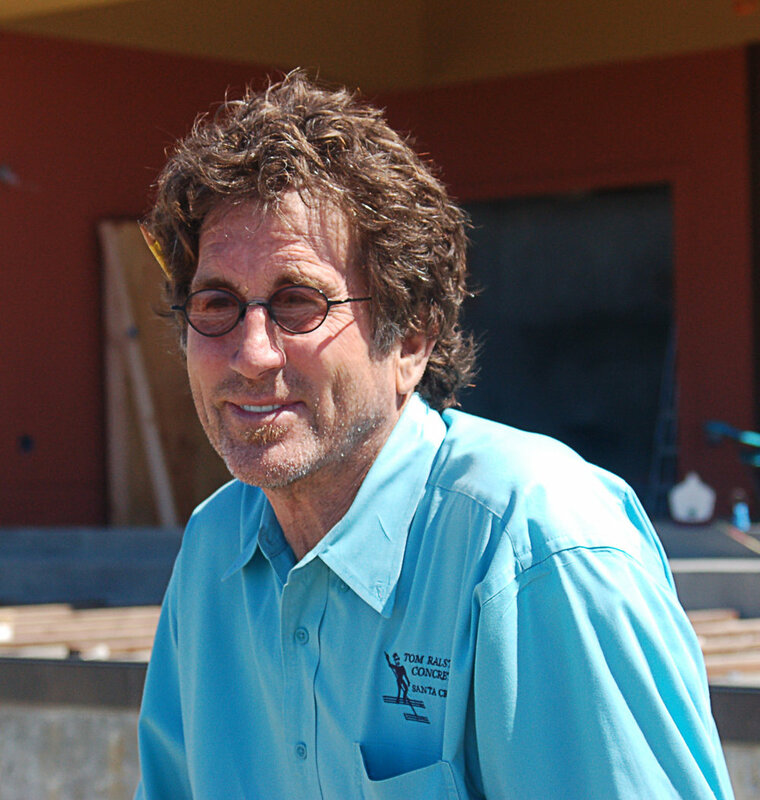 Tom Ralston is a third generation concrete contractor out of Santa Cruz, California. He has a Bachelor of Arts degree from the University of California Santa Cruz and has been at the helm of Tom Ralston Concrete since 1989 with 4 divisions including; structural, decorative, masonry and specialty concrete. Tom's passion has been decorative and specialty concrete. His recognized expertise has allowed him the opportunity to share his knowledge through seminars and “hands on” training for over 15 years. Tom has given seminars for over 15 years and spoke on various topics of decorative concrete at the World of Concrete for 7 consecutive years. Other numerous presentations have included events sponsored by the Granite Rock, the American Concrete Contractors Society, the Decorative Concrete Council, Presentations for AIA accreditation, the National Ready Mix Association and more. Tom’s work has been displayed on the covers of 7 magazines and appeared in over 60 trade and design publications including: Architectural Digest, Interior Design, Sunset Magazine, Concrete Décor Magazine, Concrete International Magazine, Concrete Construction, Journal of Light Construction, Concrete Concepts, California Home and Design, Santa Cruz Magazine and others. In 2006, the Santa Cruz Historical Society awarded a limestone rock wall and staircase in downtown Santa Cruz built by Tom Ralston Concrete as the “Best Historical Restoration”. In 2008 Tom Ralston Concrete completed the first public skate park with an acid stained finish which includes a 20 diameter stained cylindrical wave, also known as a full pipe. Also, in 2008 Tom published his instructional “Cast-In-Place Concrete Countertops” book in 2008 with Schiffer Publishing. From 2009-2011 Tom Ralston Concrete’s work and designs have won 1st place awards for best Structural Decorative Concrete, Best Concrete Countertop, Best Artistry in Concrete and Best Cast-in-Place Concrete. In 2011 Ralston was inducted into the Decorative Concrete Hall of Fame in Nashville. In 2012 Tom Ralston Concrete received an award for Best Decorative Concrete project of 2011 and competed against 50 other entries in 11 categories. Tomis a traveling consultant and has served on the Decorative Concrete Council Board of the American Society of Concrete Contractors and currently serves on the Advisory Committee for Construction Education at Santa Cruz’s Cabrillo College. Tom Ralston will be heavily featured at the 2018 Decorative Concrete Fair as a speaker and trainer. He will conduct a demonstration while discussing design process and industry trends. Tomwill also present a seminar on marketing a decorative concrete business, managing mix designs, and the use of colors and textures.